DANVILLE — Now that the holiday season is here again, so is a familiar holiday scam. 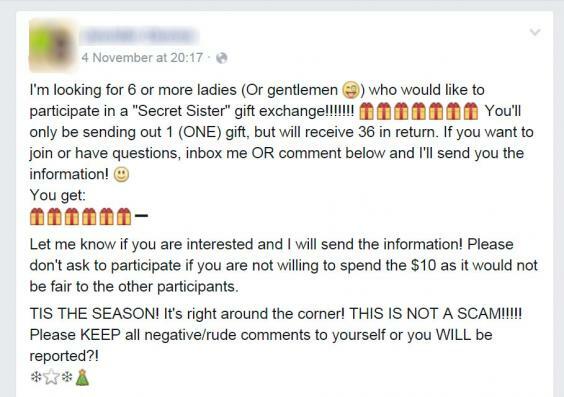 Police are warning people about the “secret sister gift exchange” currently making the rounds on social media, including Facebook. The secret sister gift exchange promises that if you buy one $10 gift for someone and add your name to a list, you’ll get between six and 36 gifts in the mail. Authorities say it’s too good to be true and illegal. The post asks you to mail a gift to someone on a list add your name and address to the list and you’ll get gifts in return. What many people sharing the scam don’t realize is that you have no idea who you’re giving you information to, and you’re setting yourself up for identity theft. Also according to the the United States Post Office, it’s considered a chain letter which is a form of gambling -making it illegal. 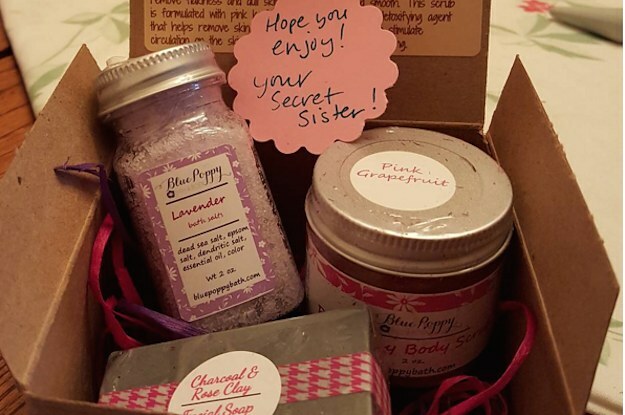 The secret sister gift exchange was popular last year and is making the rounds again. If you want to do a gift exchange, you should participate in one through work or with friends you personally know. So if you are invited to take part in the secret sister gift exchange, just say no. You can also report it to Facebook. Read the full report from WNEP.